Do you have old electronics cluttering up your attic or garage? 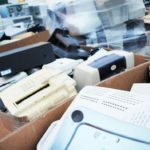 Kimco – San Diego and All Green Electronics Recycling have teamed up to host an event to help you get rid of them responsibly–absolutely free of charge! Members of the community and businesses are encouraged to clean out their garage or attic and donate their old electronics to a good cause. Bring all of your old electronics to the event, including, but not limited to: computers, monitors, televisions, printers, mobile phones, laptops, DVD players, VCRs, microwaves, calculators, iPods, cables and wires, telephones, fax machines, scanners, computer parts, and more. 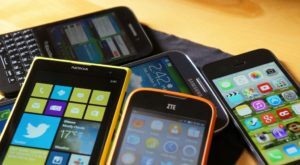 All Green Electronics Recycling promises to recycle everything it accepts in North America and to never send electronics to a landfill or overseas for processing. Certified Data Destruction is available for a small fee at all of our events.